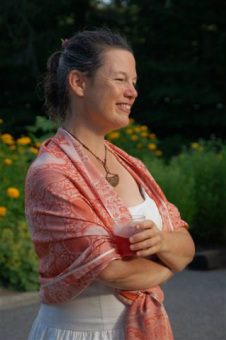 Sarah has been learning about holistic healing, including massage and acupuncture, for over a decade. She understands the powerful effect of acupuncture and massage in helping to revitalize your spirit. Sarah graduated with a Master’s of Acupuncture from Tai Sophia Institute of the Healing Arts. Prior to that, she graduated from the Potomac Massage Training Institute in Washington, DC. She is licensed to practice both acupuncture and massage therapy in Maryland. It is her goal to bring each patient a renewed sense of vitality and inspiration, while at the same time helping to improve physical symptoms. Each of us is born whole and perfect, and sometimes we just need a nudge back to a path toward optimal health. As an added dimension of her practice, Sarah is fluent in American Sign Language. She has worked as a certified interpreter for over 20 years. Interpreting has given her empathy for others and an ability to see things from someone else’s perspective. It is essential to keep an open mind as an acupuncturist, because people are sharing important health concerns and they need to be heard without judgment. Sarah provides an open environment where people can feel free to discuss anything, with assurance of her strict confidentiality. She simply listens, observes, coaches when appropriate, and allows her intellect as well as her intuition to guide her in choosing the best treatment plan. The success of acupuncture lies in the ability of each patient to begin to envision and craft their own healthy life; the needles simply remind you of the ease with which this can happen. She would love to partner with you to begin an exploration of a healthier, happier and more peaceful life through acupuncture.